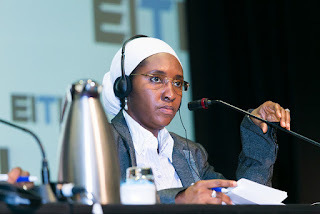 However, members of the Nigeria Airways branch of the Nigeria Union of Pensioners on Tuesday prevented the Acting Minister of Finance, Zainab Ahmed, from gaining entry into her office during a peaceful protest to demand the non-payment of their 14 years’ pension arrears. Addressing the protesters, Ahmed asked for time to enable her get appropriate briefing on the issue, and also requested a proper meeting with the leadership of the group so as to agree on a payment schedule that will be mutually convenient. The protesters therefore presented a copy of their protest letter to the Minister and vacated the gate to allow her access into the premises. They demanded the payment of their areas totalling N45.3 billion, which they said had been approved by President Muhammadu Buhari since 2017. People’s views about the new finance minister are quite different. 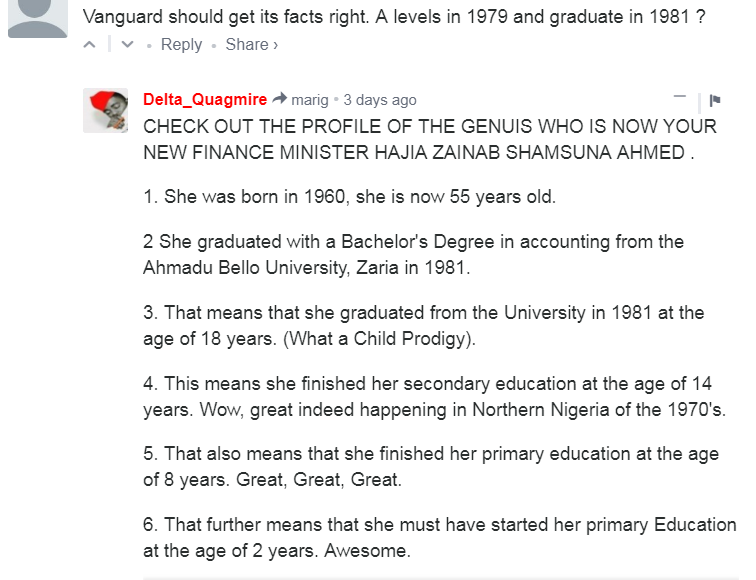 Zainab Shamsuna Ahmed is a professional accountant who graduated in 1981 from Ahmadu Bello University. 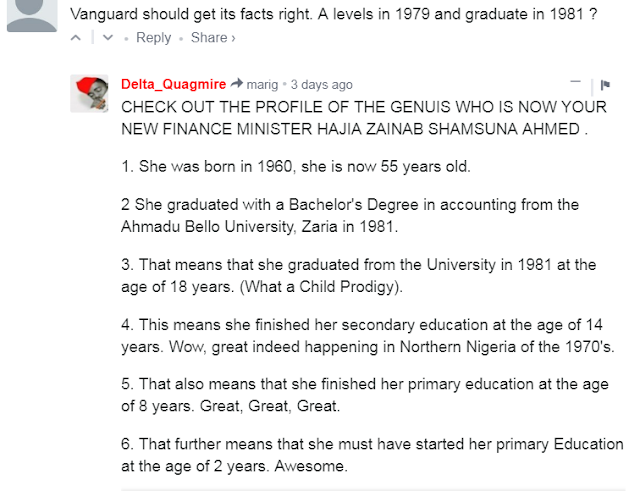 She did her National Youth Service, NYSC, in Kaduna State in 1981/1982 and served her country at Messrs. Egunjobi Suleiman &amp; Co. Chartered Accountants, as an Audit Trainee.